Tesla (NASDAQ:TSLA) shares are taking a hit after CEO Elon Musk published a blog post early Friday morning. In the company update, he notes Tesla will post a “tiny” profit for Q4 and announces that in order to cut costs, 7% of full-time staff will be laid off. This is coming at the same time Model 3 production needs to be increased. Tesla stock was down as much as 7.6% in pre-market trading on the news. Elon Musk posted a company update on the Tesla blog this morning. It wasn’t great news for employees and spooked TSLA investors, with Tesla stock taking a hit prior to the market opening. According to Bloomberg, the 7% cut amounts to approximately 3,150 Tesla employees losing their jobs. Musk also provided guidance for Tesla’s Q4 profit prospects, cautioning employees and investors not to expect a repeat of the $311.5 million profit posted in Q3. The blog post was a double whammy for investors. The prospect of stringing together two consecutive profitable quarters is a win for the company. However, Musk’s cautioning about the modest size of the Q4 profit combined with his warning that it came because the company was able to sell more of the high-priced model 3 variants (a version he warned the company needs to reduce its dependence on) was not what investors wanted to hear. Layoffs in order to maintain profitability are not good news either, especially when those layoffs come at a time when the company is still working hard to ramp up production of its key vehicle. They are also the second round of Telsa job cuts in under a year, after the company cut 9% of its workforce last July. The combination of layoffs and the “tiny” profit warning resulted in Tesla stock being punished in pre-market trading as investors began to react to Musk’s blog post. When it surpassed 200K sales in the U.S., Tesla’s federal rebate for buyers was halved and begins to wind down to zero. As a result, the company cut some Model 3 prices to minimize the impact of the reduced rebate, and that ate into profitability. All of this happens at the same time that competition is ramping up, as more auto makers release electric cars of their own. General Motors (NYSE:GM) has also passed the 200K electric car sales milestone marking the winding down of its federal rebate, and several other auto manufacturers are closing on that number. The good news is this means rival auto makers won’t have a rebate advantage over Tesla for long: the bad news is this means competition in the electric car market is seriously heating up. Many of those Tesla alternatives are priced to win over consumers, and not just well-heeled buyers. 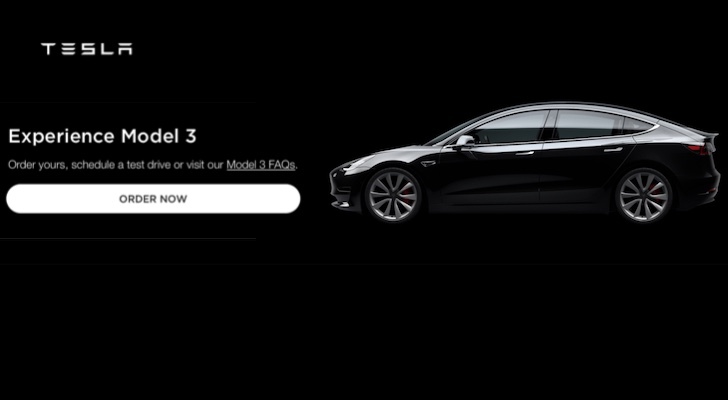 Musk points out in the blog post that the cheapest Model 3 Tesla has been able to offer up to this point has been priced at $44,000. He warns, that the company must reduce its costs and ramp up production enough to finally be producing that affordable $35,000 Model 3 — and in volume — in order to remain viable. That challenge becomes even tougher when the company has to tackle it after shedding 7% of its full-time workforce. Based on the pre-market trading of Tesla stock, not all investors are convinced Musk can pull this off. Article printed from InvestorPlace Media, https://investorplace.com/2019/01/tesla-stock-slumps-on-announcement-of-layoffs-and-tiny-profit/.